Palestine- Step back in time in East Texas by visiting the Museum For East Texas Culture in Palestine. The museum itself is a sight to see, but the treasures inside alone are a sight to behold. The Museum For East Texas Culture has a diverse collection of history which has shaped and defined East Texas culture. The museum sits majestically atop a hill in Reagan Park, within the historic Palestine High School. In the early 1900s, Palestine residents voted to pass a $100,000 bond issue for a new high school. Architects Sanguinet and Staats designed the Tudor-Gothic style building and added elaborate brick work. The big brick building has two stories and a raised basement. The high school opened its doors to Palestine students in 1916. There were originally eight lecture rooms, library, gymnasium, laboratories and an auditorium. One principal and ten teachers were the first faculty to see a class graduate from the new school in 1917. In 1939, the high school became the junior high. In 1955, the school was renamed for John H. Reagan. Finally, from 1966 to 1976 the school served as an elementary school, until closing its doors to Palestine students that last year. The building fell into poor condition and was to be demolished, however, a group of dedicated Palestine citizens intervened. The group’s efforts to preserve the historical brick building finally came to fruition in 1982, when the Museum For East Texas Culture opened its doors during the first weekend of the Dogwood Trails. The old Palestine High School is now the depository for historical treasures of Palestine and Anderson County. The Musuem for East Texas Culture features a variety of East Texas history and antiques. Tour the Black History Room, Fire Department Room, Railroad Room, School Room, and the Main Floor Hallway. All of these areas feature area history and memorabilia. Check out the old dog trot style house in the basement and the numerous antiques such as the iron lung. The museum is a labor of love by a number of volunteers and faithful members. You can become a museum member for as little as $25 per year for the entire family. The Museum is a 501(c)(3) non-profit organization. Your membership or donation is tax deductible. Call 903-723-1914 or stop by the office on the main floor of the Museum to become a member. For more information log on to the Museum for East Texas Culture’s official website, www.museumforeasttexasculture.org. Nacogdoches- It’s time for the Oldest Town in Texas (OTT) Bike Rally again! Take a ride to beautiful Nacogdoches and join other motorcycle enthusiast from across the country at the OTT Rally. LUFKIN- Get your canoes ready and your life jackets on! The Neches River Rendezvous is Saturday, June 1 at International Paper’s North Boggy Slough Wildlife Management Area. This scenic 10-mile canoe trip has something for everyone. 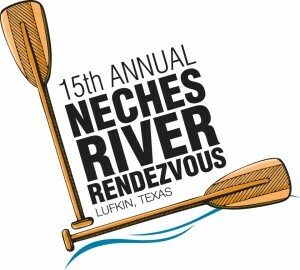 Whether you’re a bird watcher, or just need a relaxing day out of the house, the Neches River Rendezvous is for you! This nature tourism event is designed to promote outdoor wilderness adventure in East Texas by framing a day of paddling with the panoramic Neches River and surrounding forests. The event is scheduled for an 8:00am start, with free shuttle service available to and from the river. City of Palestine representatives Mayor Therrell Thomas, Councilmember Vickey Chivers, City Secretary Teresa Herrera welcoming Annie Lacey to her new home. 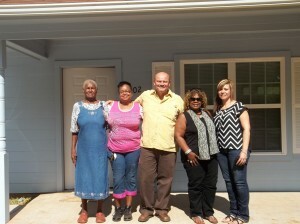 PALESTINE- The City of Palestine has completed another of many Home Grant projects for deserving residents. A 2013 recipient of the Home Grant is Ms. Annie Lacey.